So I was watching At the Movies and they are doing a series of their “Top Ten Movies of the Decade”. This week they put their 10th and 9th selections. 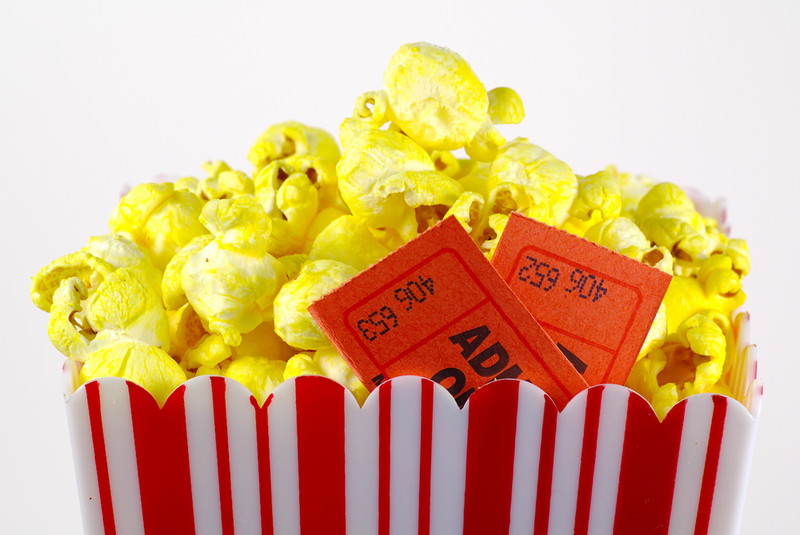 Ironically of the 4 movies already selected I have only viewed one of them- Million Dollar Baby. For various reasons I missed the other three. Million Dollar Baby nearly made my list. If it wasn’t for the ending. Ever since I started my blog I’ve wanted to do an entry on my favorite movies. One of my most popular postings was in May of last year called Music Galore. It has had over double the hits of any other post. My entries on comedy, theater and books have also been popular. Many times I began writing a similar entry on movies- but the topic proved too daunting each time. There are just too many to choose from! Seeing the more narrow “Top Ten of the Decade” concept, I thought I would take another stab at a list of just my favorite recent movies. First of all, let me explain what I love about the movies. I would say 90% of the time I go to the movies to be entertained. Some of my choices may not be the most educational or even uplifting films but they did entertain me. This does not mean they are all comedies. In fact, of my top 13 (ok I couldn’t narrow it down to 10!) 5 could be considered comedies, 2 are musicals, 2 are animated, 1 is a documentary and 2 dramas. Each of the selected movies has also entertained me multiple times. Not all movies do. For example, the Prestige with Hugh Jackman and Christian Slater was enthralling the first time I saw it; however, the second time I didn’t really like it. The Sixth Sense is another example; although that is not a movie from this decade. I love the way movies can take me away from life and introduce me to a new world- whether that be a mystical Japanese spirit bath house or a modern-day fashion magazine. I also appreciate movies that make me think a little bit while being entertained. I am a particular sucker for movies about work and what we dedicate our lives to. Having gone through the process of leaving a job I hated, I sympathize with characters that are sucked into workaholism and modern cubicle despair. This can take the form of a comedy or a more somber drama. You can see this theme in almost all of my choices-characters who struggle with what to dedicate their life too and who they are inside. They struggle with how to live- what is the best life? I enjoy that discovery. 1. About a Boy- Touching and funny movie about a near-do-well who learns to be unselfish through befriending a young boy and his mom. 2. 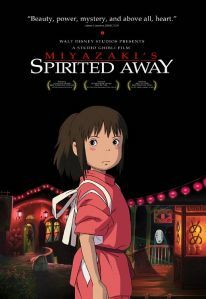 Spirited Away- Visually stunning animated film from Hiyao Miyazaki. I dare you to guess what is coming next. There is everything from a giant baby, to a paper dragon, to a witch that turns into a bird. So creative! 3. 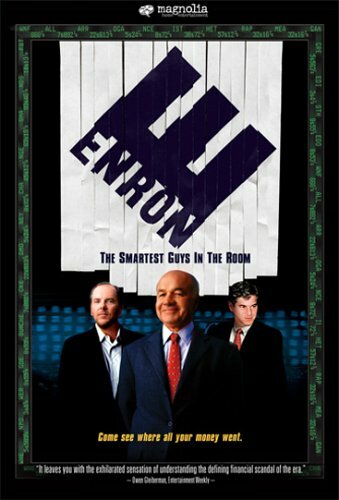 Enron: The Smartest Guys in the Room- Fascinating documentary about the rise and fall of Enron. Amazing how one little rationalization, followed by another, really will lead a man carefully down to Hell. 4. 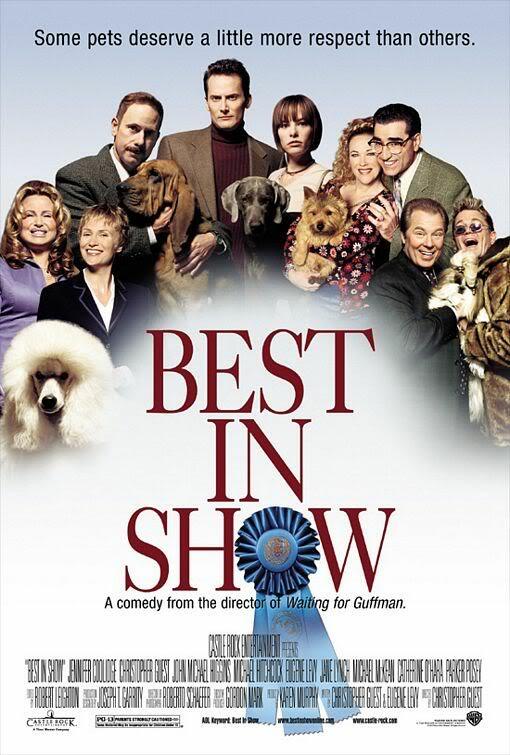 Best in Show- Hilarious mockumentary about the Westminster dog show. All of Guest’s movies are funny but this is my favorite. I think because I am not an animal person I find those that are funny. 5. Pixar movies- Ok. I know this is lame but I couldn’t decide. They are all so great. 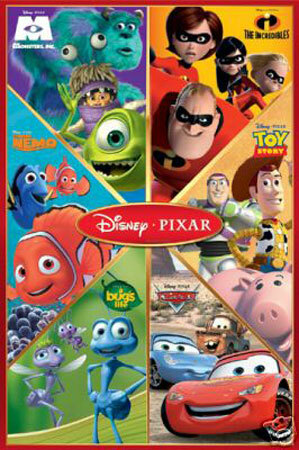 Since 2000 Pixar has made Toy Story 2, Monsters Inc, Finding Nemo, the Incredibles, Cars, Ratatouille, Walle and Up. I especially like how there is no hamming it up to the camera and adult humor like the Shrek movies. I hate that. 6. Slumdog Millionaire- I’ve never been to India but my aunt and uncle said Slumdog is a reasonably accurate depiction of the slums. It feels so real while watching. It is brutal and beautiful at the same time. My favorite part is how the two lead characters maintain their innocence and love despite the chaos surrounding them. I’ve seen this movie 4 times and each time I leave feeling inspired and comforted, which is suprising given some of the tough scenes. 7. 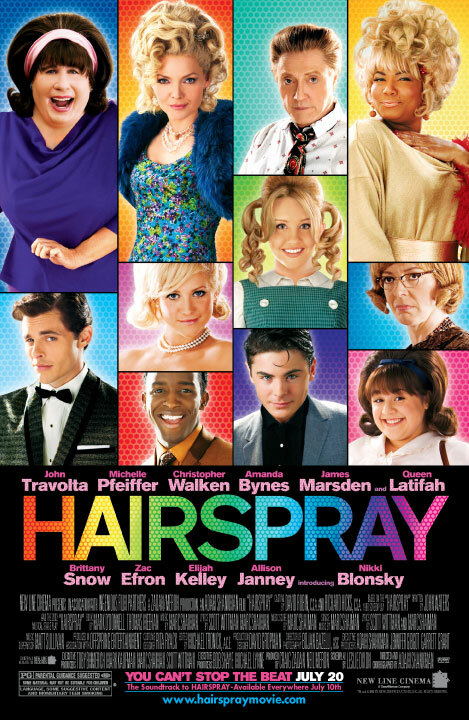 Hairspray- While I have loved the return of musicals in the last few years most of them have been on the raunchy side. Finally Hairspray was the musical I’d been waiting for. Its music is catchy and will make you smile. I just love it. 8. Walk the Line- Even as a conventional bio-pic I enjoy Walk the Line. 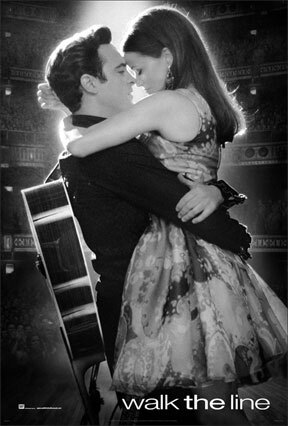 I love the music and how it brings June and Johnny Cash together. Joaquin Phoenix and Reese Witherspoon are great. I particularly like the scenes where Johnny goes on the “June Carter love walk” and she turns him down! Great movie! 10. 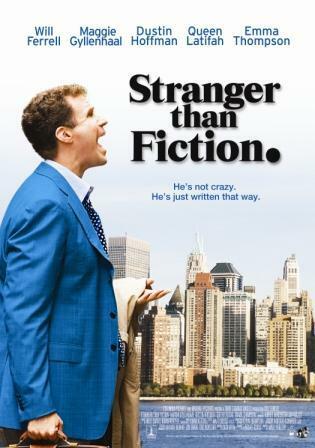 Stranger than Fiction- Another great movie about work. Will Farrell plays a man who starts hearing a narrator in his head. This voice describes what he is doing and how he feels about it. However, it becomes disturbing when the voice predicts Farrell’s death. Dustin Hoffman and Emma Thompson are great. Wonderful movie that makes you think about your life choices and what a narrator would say about them. Also, would our lives make a good book? If no, is that necessarily a bad thing? 11. 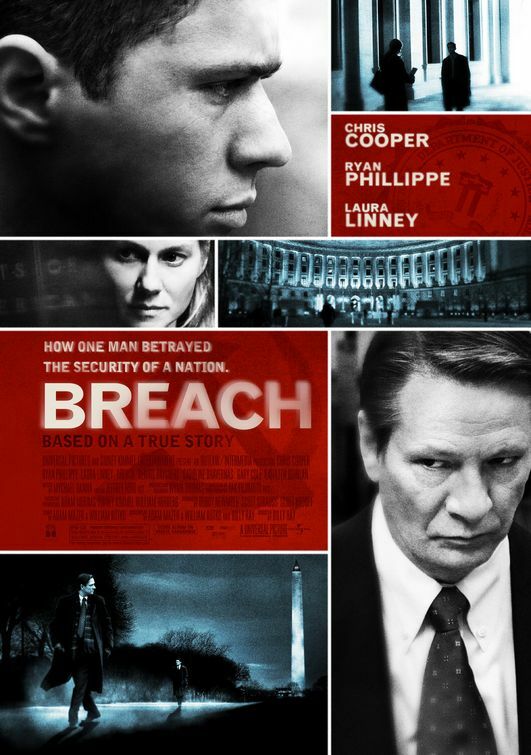 Breach- Great suspenseful movie of the undercover operation that brought down Robert Hanson an FBI agent who sold secrets to the Soviets for over 20 years before he was caught. The acting is top notch- particularly Chris Cooper as the complicated Hanson. On one hand, we hate him but on another we get a glimpse of why he did it. He wanted to be smarter than everyone else in the FBI. He was tired of being marginalized and ignored. Who can’t relate to that? 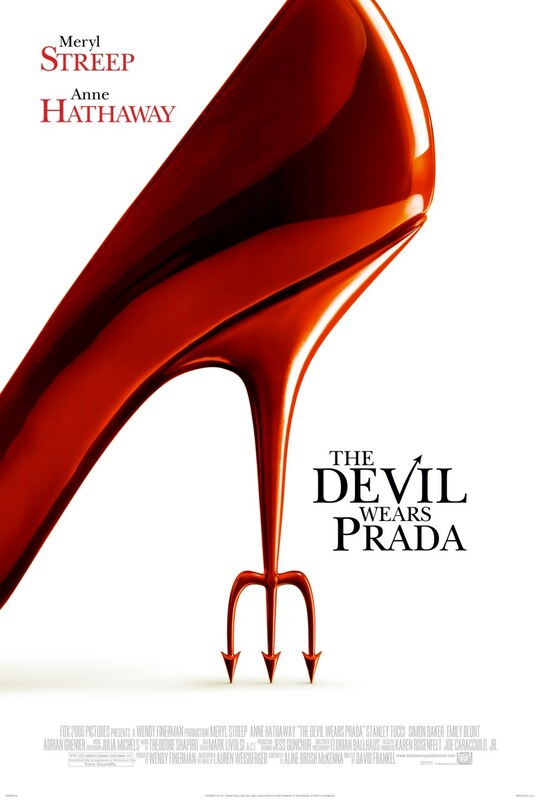 Very exciting and interesting movie. 12. 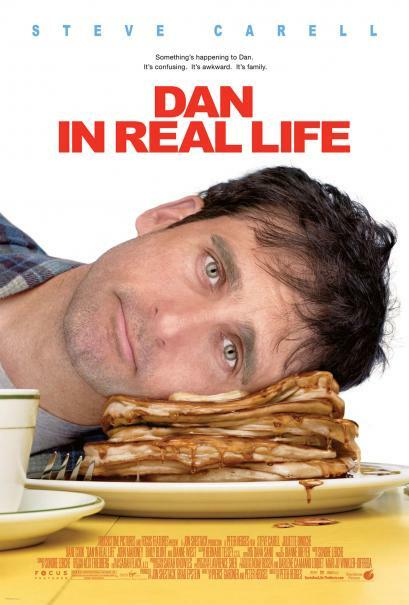 Dan in Real Life- A simple movie I love. It is funny, the kids are great and the story is touching. It is about a widower played by Steve Carrell who writes a nearly-syndicated parenting column. Meanwhile his 3 daughters are all struggling. I felt I could relate to the family dynamics in the story and again it asks the question- “What are you doing with life? and Why does your life matter?” I also like they kept the family chaos to a realistic non-slapstick level (for the most part at least). 13. Juno- I know the dialogue can be a bit glib, but I don’t care. Juno is about a high school know-it-all who gets pregnant and decides to give the baby up for adoption. It is the most pro-adoption movie I have seen in a long time, and I don’t think it glamorizes teen pregnancy as some have claimed. Juno learns that she isn’t quite as smart as she once thought and this new humility comes with some hard-taught lessons. So there it is. My top movies of the decade. Maybe there will be something in the next few months as amazing and have to be added to the list. Hopefully! I will be curious for your favorites. I love a lot of those same ones. Especially Juno-so many of my friends hated it but I seriously loved it. I wish I lived closer so that we could go see some movies together! Me too! I know you might not believe it but I am still scheming about how I could get down there. I wish I had a buddy I could make the long drive with. Someday! I can’t wait until next year when you are back here where you belong. I haven’t seen a lot of these, so I’ll be glad to add them to my list. It seems whenever I send my hubby to Blockbuster, he calls to say that there is just nothing that looks good…so it helps to send him with a list. I can definitely pick a top Pixar: The Incredibles. I agree that Walk the Line and Breach were both great. It’s incredible how suspenseful and even a little scary Breach is, despite the complete lack of violence. Plus, the fact that it’s a true story makes it even better. Hairspray was funny and enjoyable, but I would have to place The Phantom of the Opera above it in the musical category. I prefer the dramatic. Also, after seeing The Phantom on stage at least twice before the movie, I was surprised at how well I liked the movie. Superbly done, I thought. I watch it over and over. Thanks for your comment. If I was pushed I would probably pick Finding Nemo or WALLE as my favorite pixar but it is tough. Incredibles is great! Phantom would have been a good choice. My only qualm with that movie is I felt the male leads could have been better. There are so many men who sing well. I don’t understand why they picked the people they did. Still, definitely an entertaining movie. I love the movies but you are right sometimes it is hard to weed through the junk. Glad I could help you with future rentals! 11. Brother’s Grimm- may be my least favorite movie. I also didn’t like the Dark Knight even though everyone else likes it. At least with that movie the acting and directing are good. I forgot about Disney’s The Kid. It was released in 2000 so not technically in this decade, but I love it. It’s another movie about work and what we dedicate our lives to. The plot is about a man who has to confront the 12 year old version of himself. He expects the boy to be thrilled with his corporate sterile success, but he is nothing but disappointed. This makes him examine his life and where he went off track. It’s a small movie but I love it.